Please Join Us & Let Us Help! 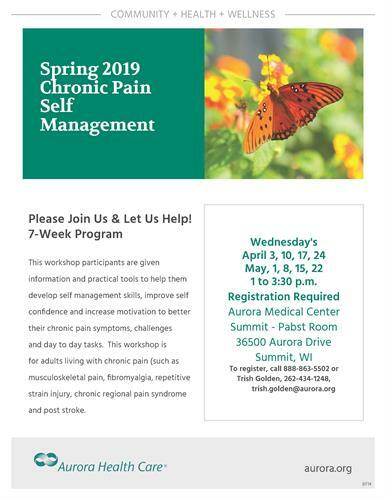 This workshop participants are given information and practical tools to help them develop self managment skills, improve self confidence and increase motivation to better their chronic pain symptoms, challenges and day to day tasks. This workshop is for adults living with chronic pain (such as musculoskeletal pain, fibromyalgia, repetitive strain injury, chronic regional pain syndrome and post stroke.